If you want to optimize or configure your PC’s CPU processor, video card or even RAM memory for better performance, you have a few different options. Using some readily available freeware downloads from manufacturers and other software companies, you can easily tweak the performance of most of the components of your computer. 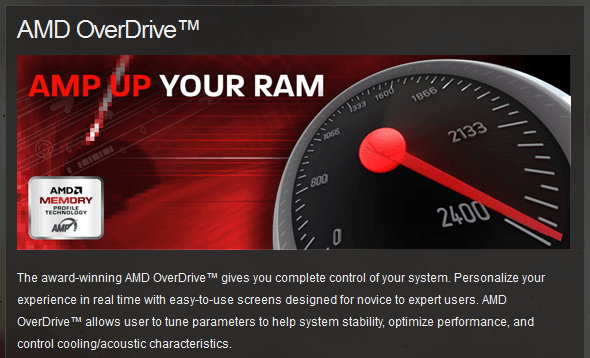 If your computer utilizes an AMD CPU, you can adjust performance settings, speed and timing for the CPU and RAM memory as well as a few other components using AMD’s free OverDrive software. Additionally, the software lets you control fan speeds and even provides some diagnostic software to help troubleshoot PC components. This utility makes the process of adding speed and performance simple, as it features a user friendly interface, accessible directly from the desktop. Intel also offers their brand of performance/tweaking software with XTU, or Extreme Tuning Utility. 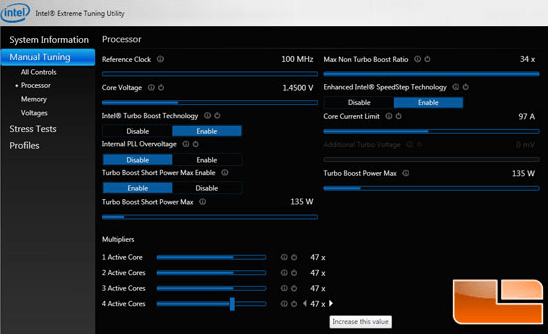 Using XTU, you can very simply make adjustments to speed, performance and even modify Intel exclusive features such as Turbo Boost Technology. While the AMD OverDrive Utility listed above is mainly for enhancing CPU and RAM memory settings, AMD’s Catalyst Control Center is a utility for video and graphics. With this utility, you can fine tune GPU settings, enable graphics acceleration and speed settings and even configure displays. NVIDIA’s Control Panel software is another GPU utility that allows you to tweak graphics setting directly from the desktop. However, it also offers some other utilities for CPUs, motherboard, memory and even power supply. The Control Panel is usually bundled with NVIDIA GeForce Experience, which is another tool for downloading the latest driver for your NVIDIA graphics card and managing other settings related to just the graphics card. 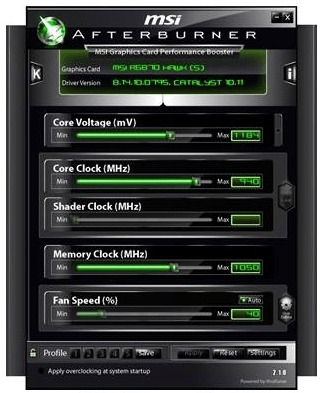 MSI’s Afterburner utility is a popular app that is compatible with both NVIDIA GeForce and ATI Radeon based setups. With Afterburner, you can overclock, adjust fan speed, adjust voltage and monitor clock speed, temperatures and other settings, all from the desktop. 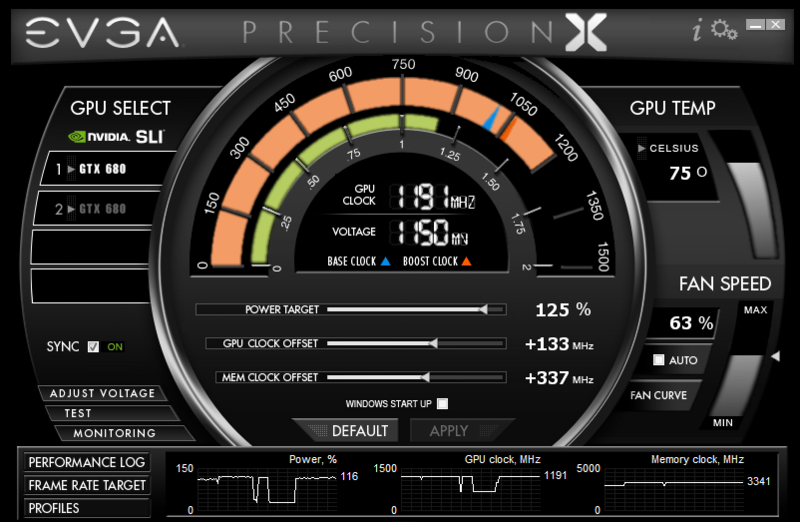 EVGA’s Precision X is a similar GPU enhancement program to MSI’s Afterburner. Specializing in GeForce controllers, the Precision X software allows you to do things like adjust voltage, set custom fan curves and even create custom profiles for different scenarios. CPUID.com – x86 technical resources is a website that offers a wide variety of different utilities, mostly apps that allow you to monitor computer performance. 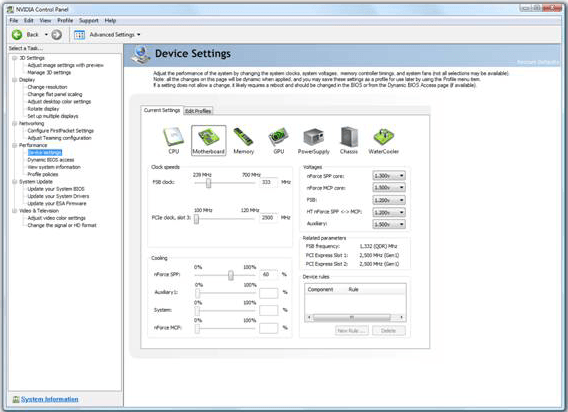 Their most popular program is CPU-Z, a desktop utility that monitors CPU, Cache, Motherboard, Graphics and more. However, they also offer some other great programs such as TMonitor and HWMonitor. Those are just a few utilities for overclocking, tweaking, and monitoring the performance of CPUs, video cards and RAM memory. If any of our site visitors have any other recommended utilities, feel free to link to them in the comments section. Enjoy!